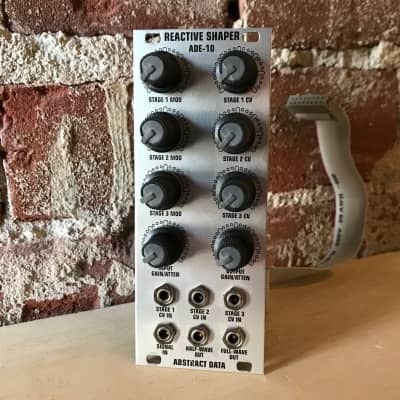 Waveshaping, Wavefolding, Feedback and full CV control in a low-profile, high-quality 10HP Eurorack module. in a low-profile, high-quality 10HP Eurorack module. Outputs provide effected AC audio and positive DC CV signals. control of Biasing/Attenuation gives complete sonic control. CV modulation and beyond - the ADE-10 makes shapes.